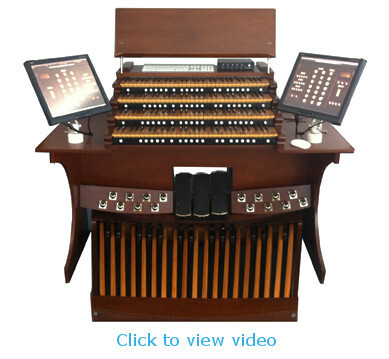 Classic MIDIWorks is an online retail store that offers top of the line hardware/software for those aiming to put together a Virtual Pipe Organ powered by Hauptwerk. If you are looking to putting together a system from scratch or adding MIDI to an existing organ, then you have come to the right place! All our hardware is modular. This means that instead of simply offering x models with an x number of manuals, shoes, toe studs, etc... you can select what you'd like and we can help you put together the organ that YOU WANT. Our knowledgeable staff is happy to help you every step of the way from start to finish. We pride ourselves in great customer support and ensuring that you get to playing your Hauptwerk Organ as fast as possible. A MIDI Works system is both cost and space efficient, fitting in almost any space. Paired with good speakers and/or headphones, it is the ideal practice organ. Regardless if you are a professional or hobbyist organist, you can enjoy playing from the comfort of your own space whenever you want.